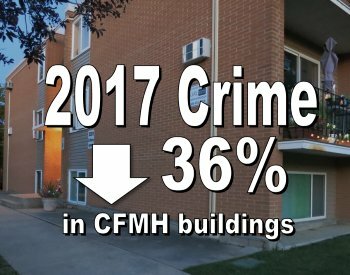 Live in a safer place: Choose a Crime Free Multi-Housing certified building. CFMH Certified properties have been inspected, and their property managers and owners are trained. Tenants in certified buildings take part in a CFMH event where they share any security concerns and solutions with each other, the property manager and a Police officer. Tenants in CFMH Certified buildings commit to live crime free in their home. or click here to view all CFMH properties.